ToursByLocals Blog - Our Most Popular Movie and TV Tours! Sometimes we’ve visited our travel destinations on screen before we ever set foot in them for real. Places are often as important to a story’s arc as characters or plot. Many of our guides recognize this and have created on-location tours that bring your favourite TV shows and movies to life. Want to visit the Ministry of Magic? Twirl where Julie Andrews did? Battle like an 18th century Scottish warrior? Below we’ve listed a dozen of our most popular ToursByLocals film location tours. Maybe your favourite is on there! Traveling to Edinburgh with children? (Or perhaps you’re a Potterhead in your own right!) This tour will reveal special places that inspired author J.K. Rowling, while exploring the town where she imagined and brought Harry's story to life. Spot the locations made famous by spies and villains that have spawned decades of Bond films on this tour from London guide Jason. Want to see where In Fleming wrote "Casino Royale" on a golden typewriter bought specifically for the task? Join Jason, and enjoy a themed walk through London's Chelsea neighbourhood. Jane Austen is Bath’s reigning literary queen, and her fictional heroines lurk throughout the city’s beautiful, historic streets. If Elinor Dashwood, Elizabeth Bennet and Fanny Price have a place in your heart, this tour is for you! Join local guide Sue on a tour that explores the city’s relationship with all things Austen. You can explore the many locations used in both Breaking Bad (and its spin-off, Better Call Saul) with local guide David, who's proud to call this part of New Mexico his home since birth. See the desert landscapes captured so strikingly in the TV series, and iconic locations like Pollo Loco, The White residence, and the Car Wash.
You can’t go to Salzburg and not feel a bit of the joy Maria and the Von Trapp children felt while singing and dancing through its streets, dressed in curtains-turned-playclothes. Salzburg local Carlos, will be your guide. We even had a couple get engaged once on this tour, in the famous gazebo! Want to get some real behind the scenes knowledge of the Lord of the Rings? Take a tour with Robbie from Wellington, a former Rohan soldier, Elf, Uruk-Hai, and Orc from Peter Jackson’s legendary trilogy. He’ll show you locations for Rivendell and the River Anduin, along with the famous “get off the road!” scene. Game of Thrones brought thousands more visitors to Dubrovnik in recent years, looking to not only explore this picturesque walled city, but spot the locations used in filming the hit HBO series. Since then, other cities, namely Belfast, Split, and Seville are catching up with tours that offer insight into the show's stunning film locations. Alex in Devon, England has crafted a superb full-day tour to capture the legendary fiction of Agatha Christie. This tour showcases the places the author lived and drew inspiration from, as well as places that appeared in her stories, almost all of which were adapted for TV and film. Alex can also take guests on a Hound of the Baskerville tour, to learn more about the locations that inspired what was arguably Conan Doyle's best Sherlock Holmes story. Before Outlander was a hit TV show, it was an even more popular historical fiction series by Diana Gabaldon. Our Scottish guide James loves leading tours that spotlight Scotland’s rugged landscapes and the role it plays in the lives of Jamie, Claire, Murtagh, Dougal, Coloum and Gellis. And as a supporting actor on the series, he's got insider info to share! 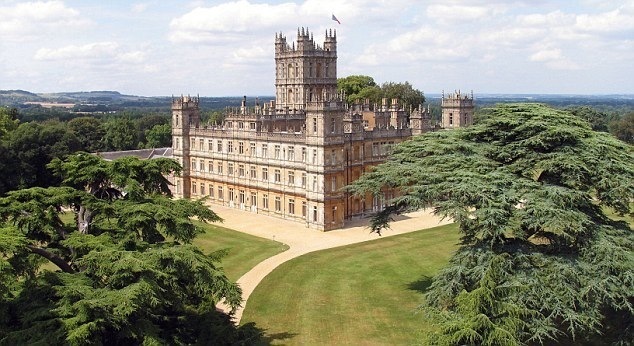 Few series have inspired such devotion as Downtown Abbey. Want to see where the Crawleys eat breakfast? You can visit Highclere Castle in Hampshire, the site of most of the show’s exterior and interior filming, on an easy day trip from London. ...and finally, if you're a plain old movie buff, where better to head than Hollywood? Visit the iconic filming locations for your favorite movies, from chick flicks and rom-coms to dramas and horror classics, all with movie buff-turned-guide Alice.